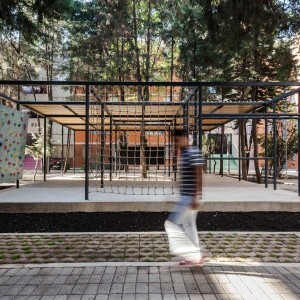 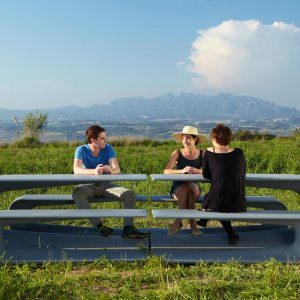 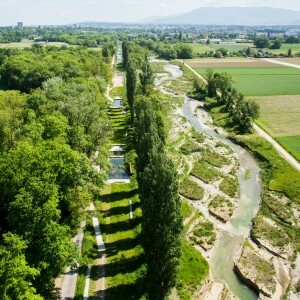 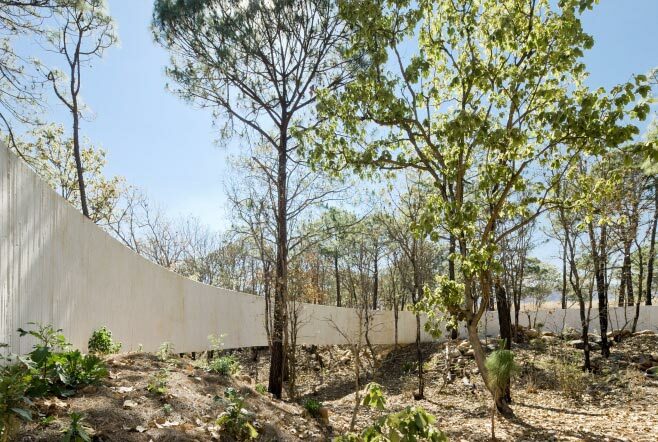 Rozana Montiel: The project was part of a collaboration to adapt the most important route of pilgrimage in Jalisco, Mexico. 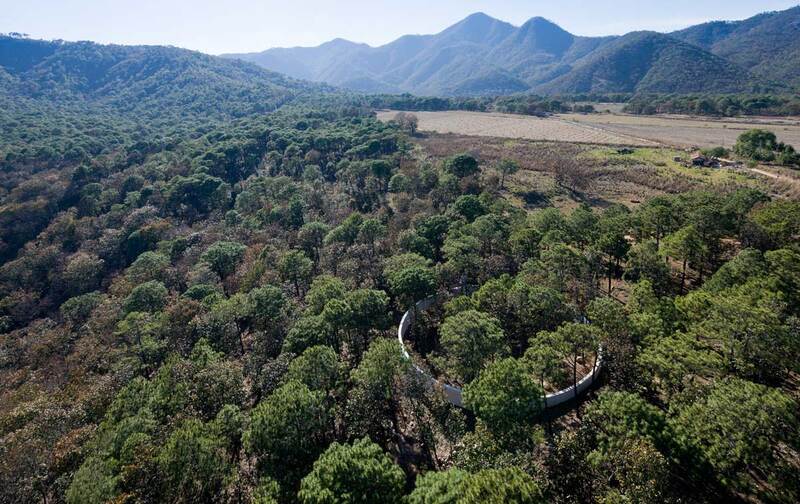 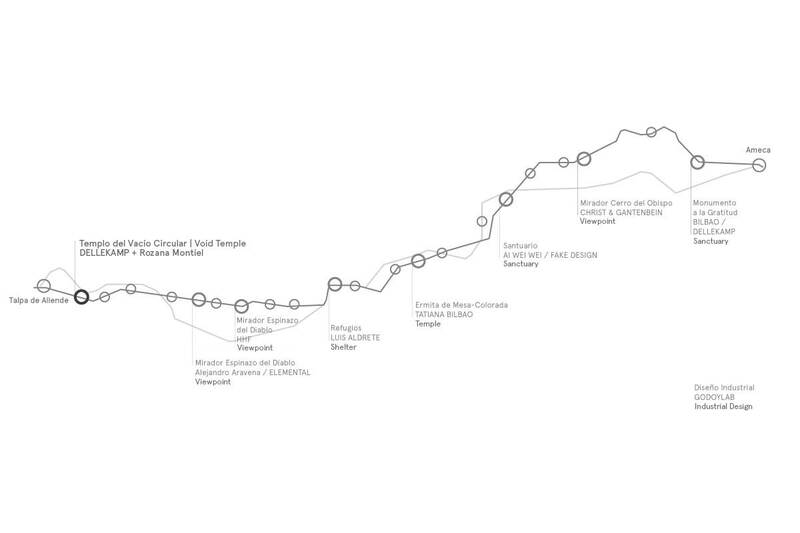 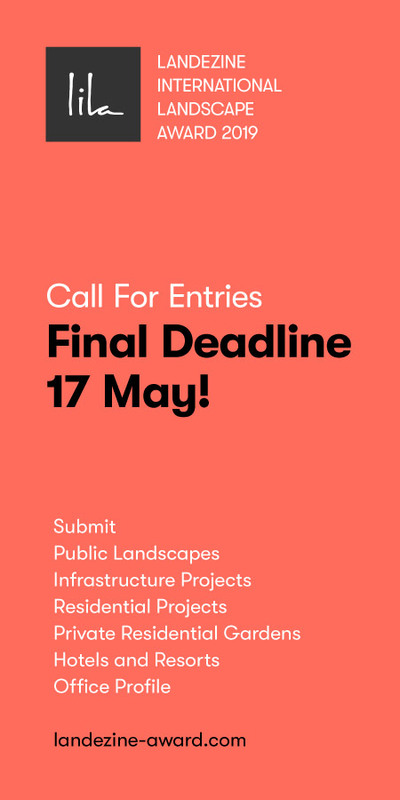 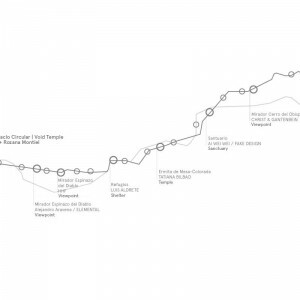 The macro project’s goal was to create infrastructure and landmarks along the 117 km long route between Ameca and Talpa de Allende that takes place every year for the Virgen del Rosario. 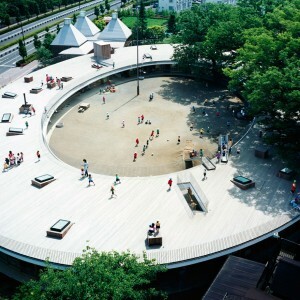 Void Temple is one of the 8 landmarks built for the pilgrims. 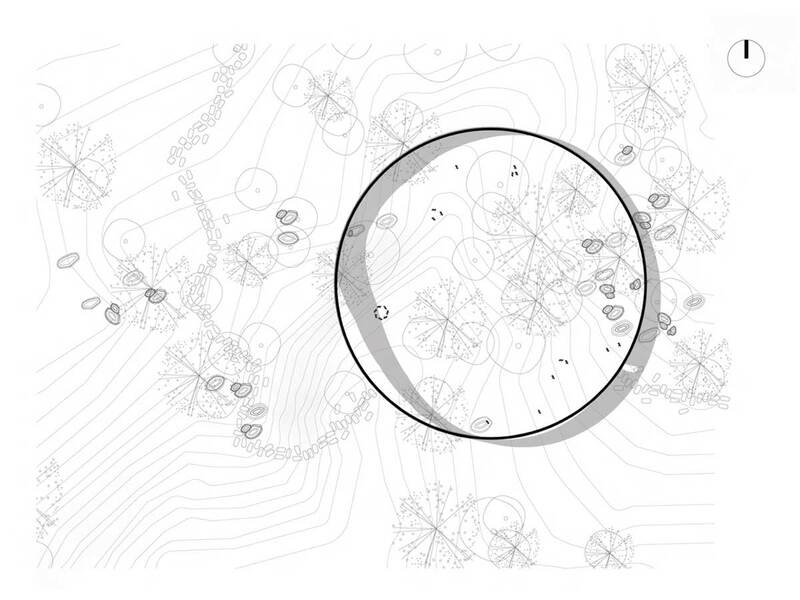 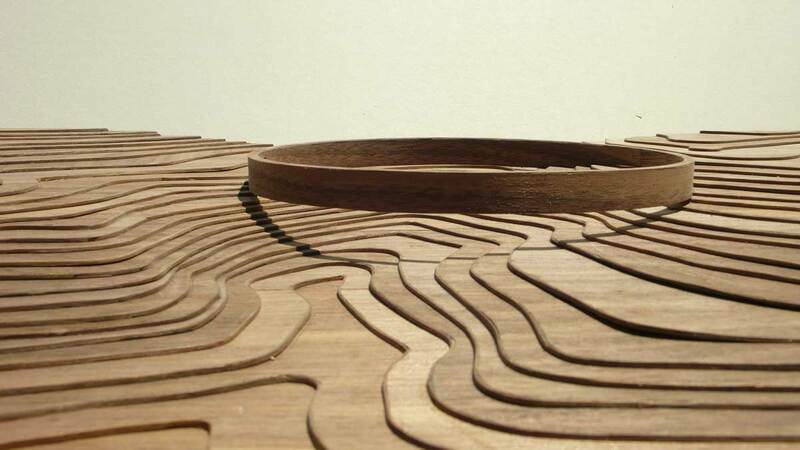 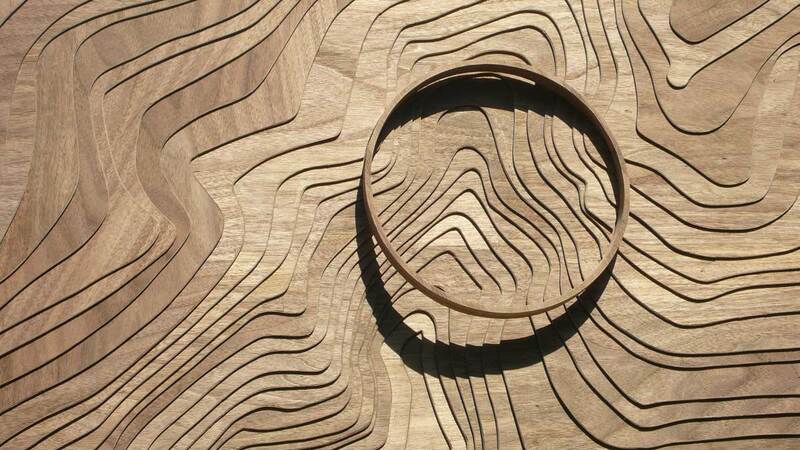 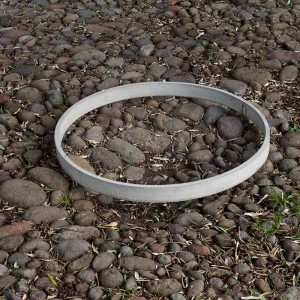 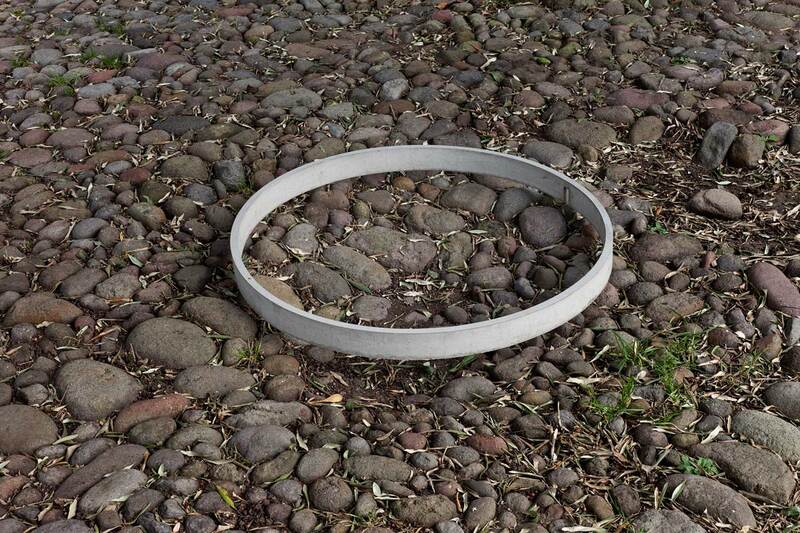 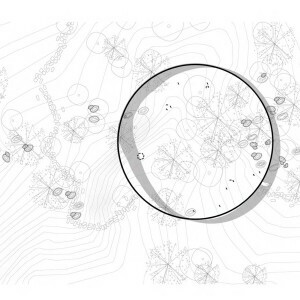 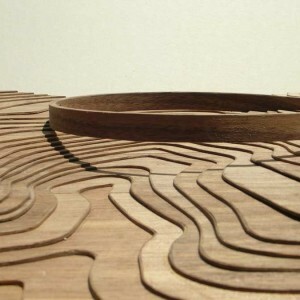 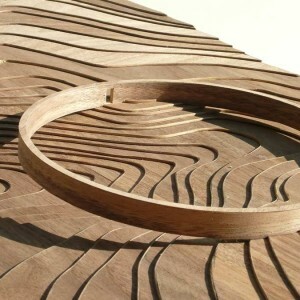 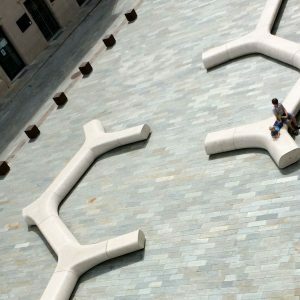 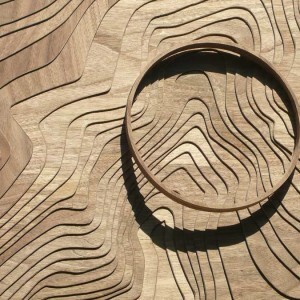 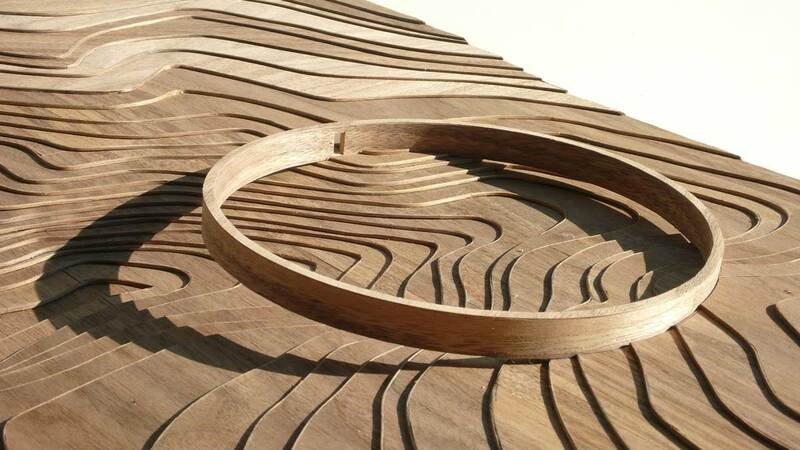 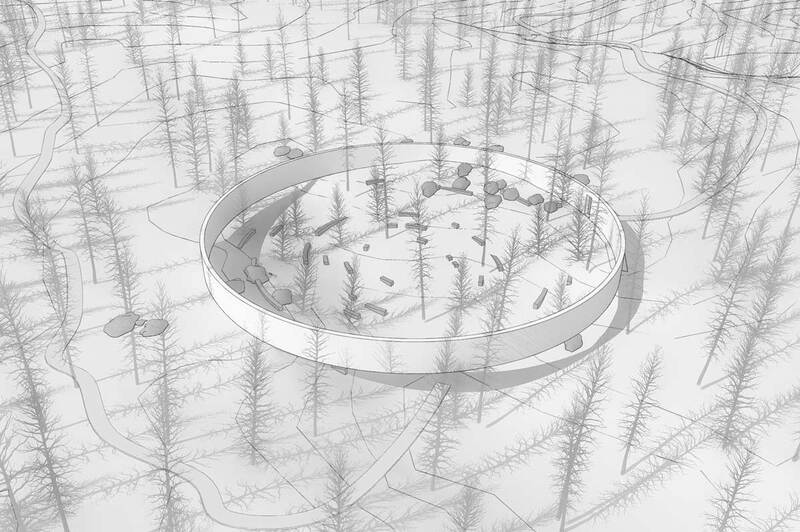 The circle was used to represent the space as a temple or a haven containing the macro-cosmos within the micro-cosmos. 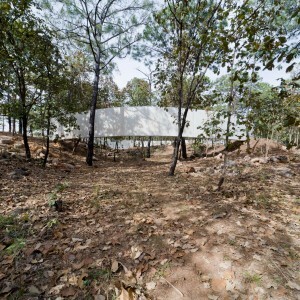 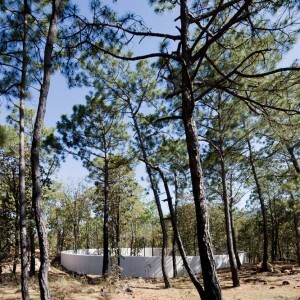 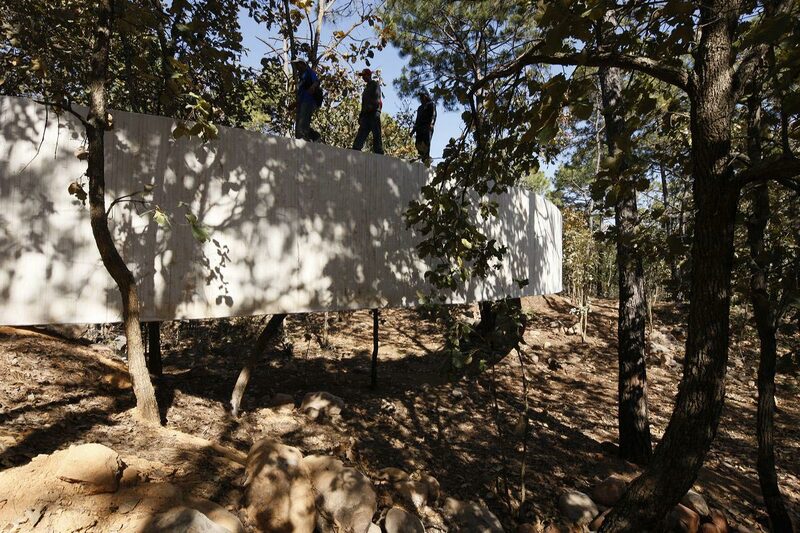 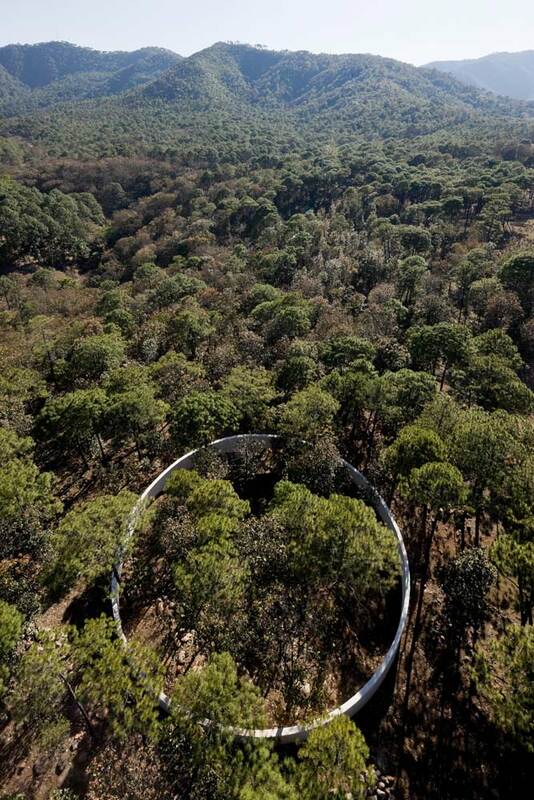 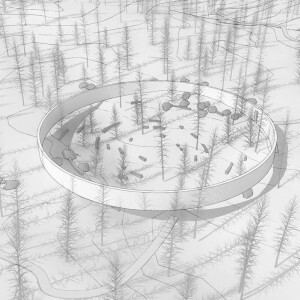 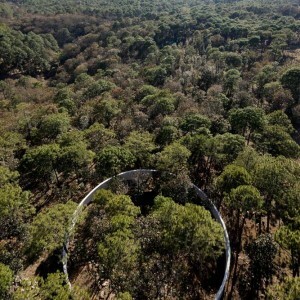 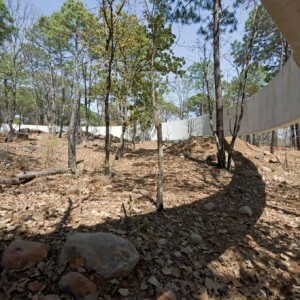 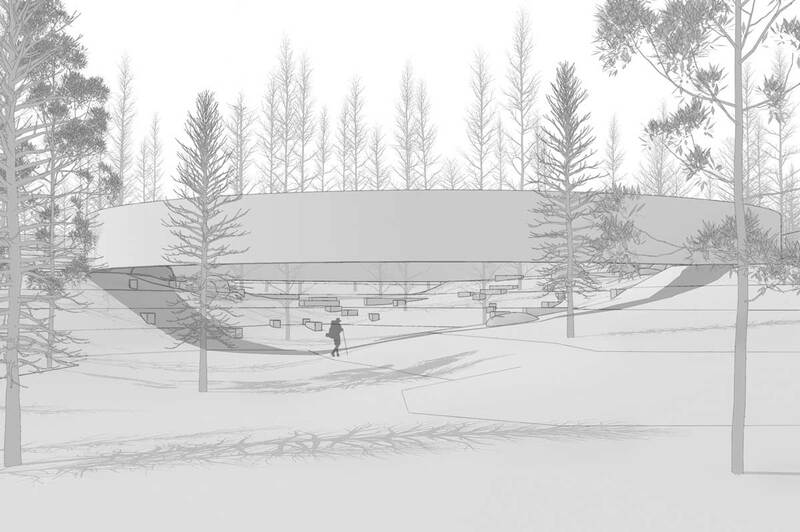 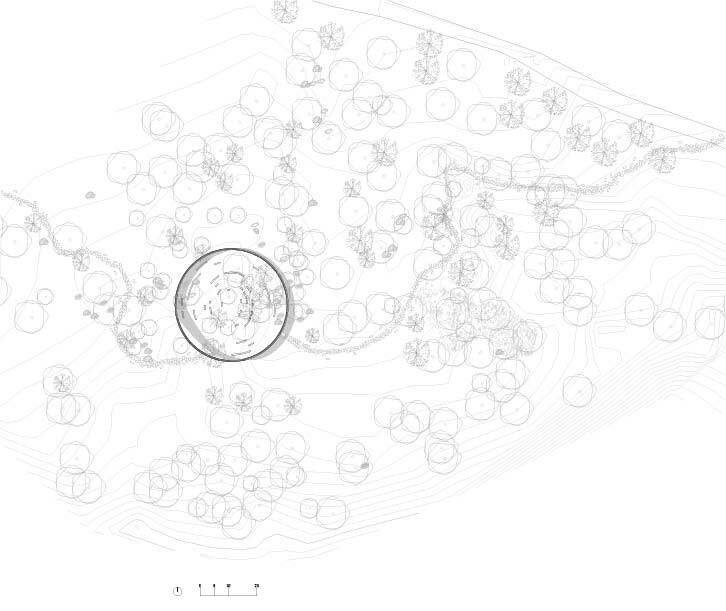 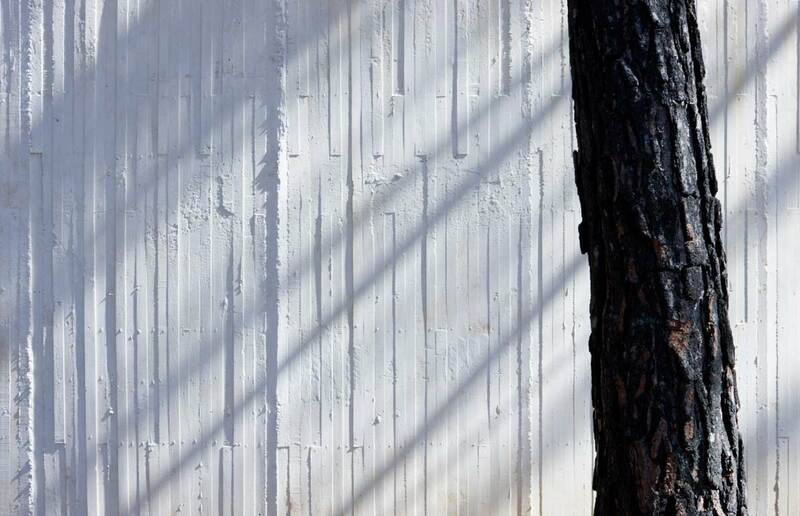 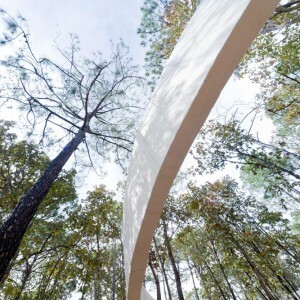 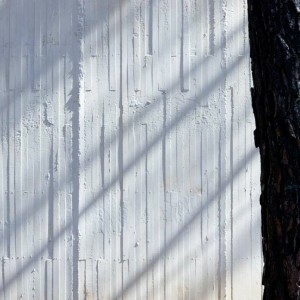 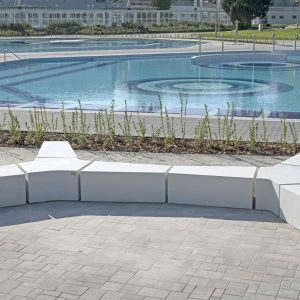 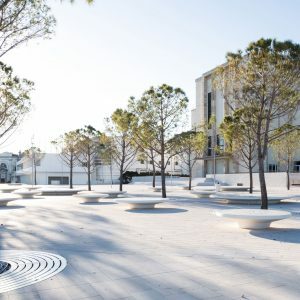 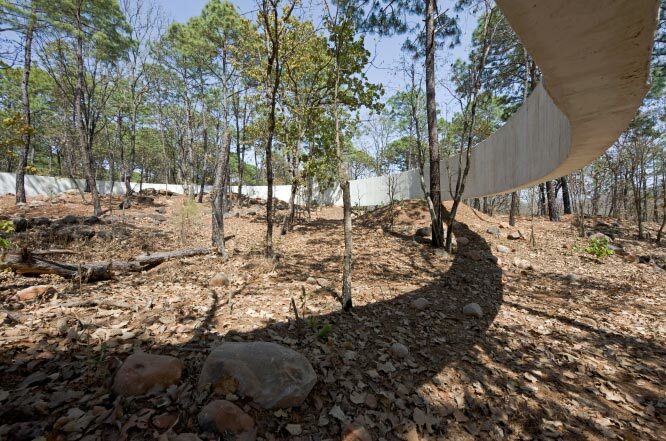 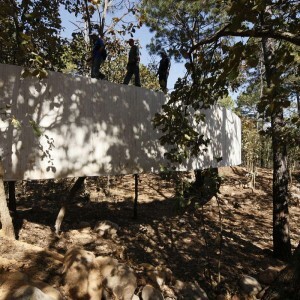 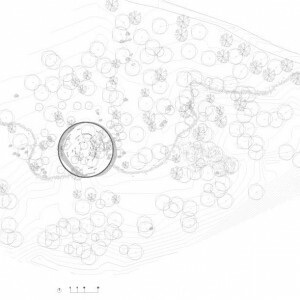 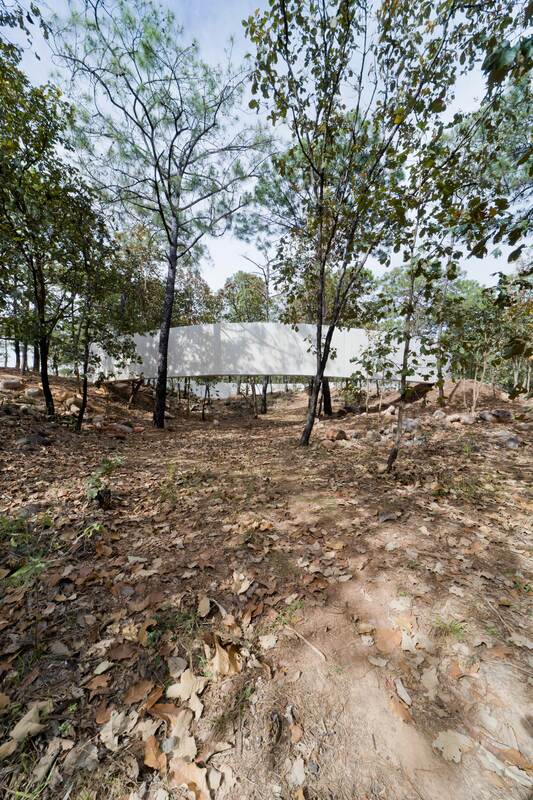 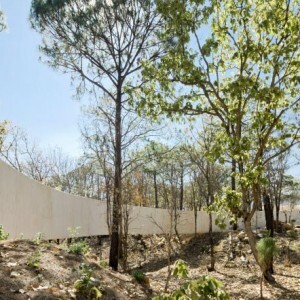 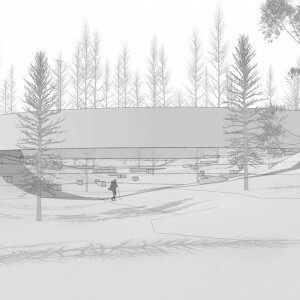 The white concrete wall, a 40 meter diameter circle, is a piece placed amidst pine tree woods that blends in with the particular topography of the site, suspended three meters high, it follows the terrain’s slopes and elevations and it is buried at different points to respect horizontality. 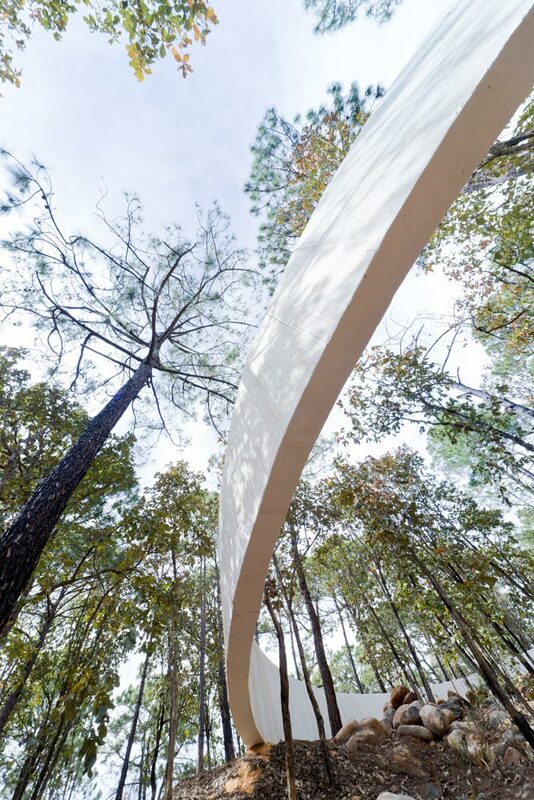 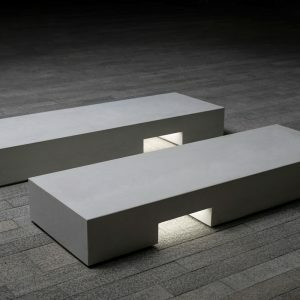 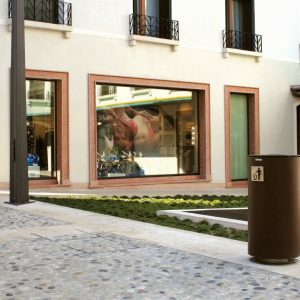 A narrow fissure frames the access and forces visitors to enter individually. 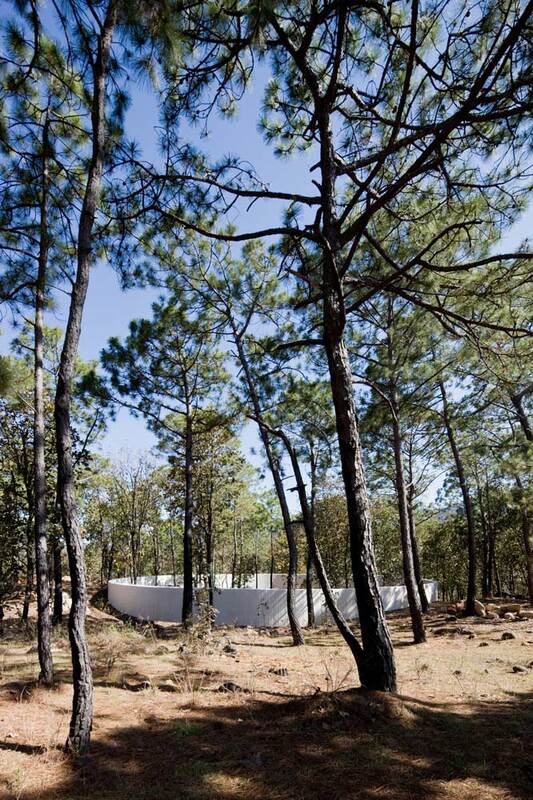 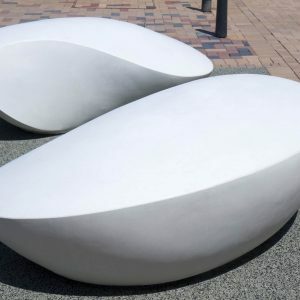 As a temple, the white wall delimitates a space for contemplation: it contains the visitor intimately relating with nature. 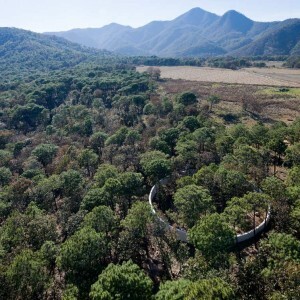 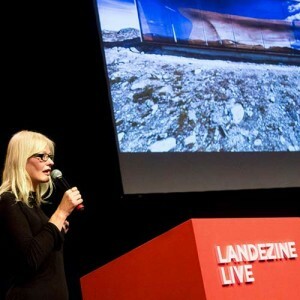 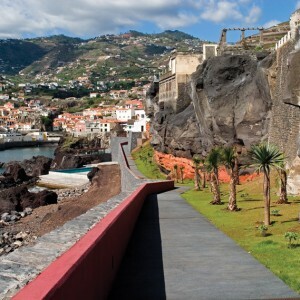 It is a privileged place to understand the totality of the natural world on human scale.